The key to staying young forever has evaded humanity since we first evolved on this planet. Nobody likes the idea of getting old and aging does a real number on your body. 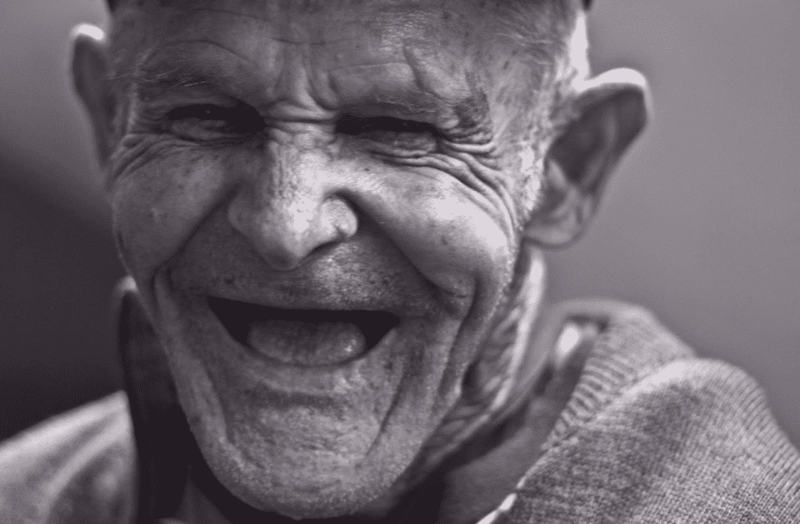 Wrinkles start to show up, your memory deteriorates and your bones get brittle. While stopping the aging process altogether is still impossible, there are ways to slow it down. Here is the secret that neuroscientists recently discovered and you’ll be amazed by what it is. 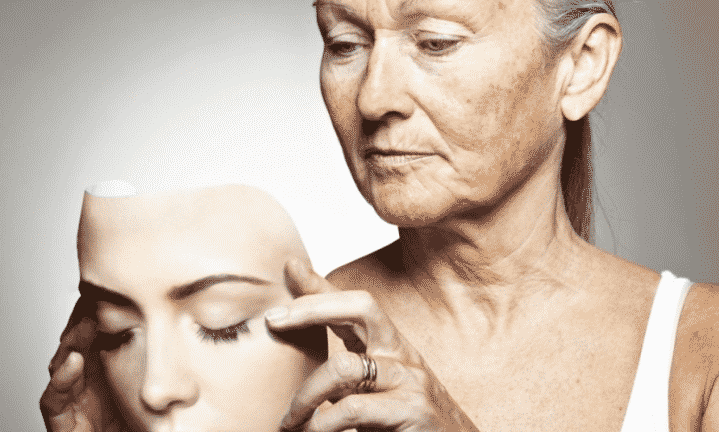 People have tried dozens of anti-aging fads and some have even been downright dangerous. From hormone pills that have terrible side effects to diets that can downright destroy your body, people have gone to some pretty far lengths to stop the gray hair and wrinkles. Despite all of these crazy methods, there is one type of method that has stood the test of time and that is exercising. 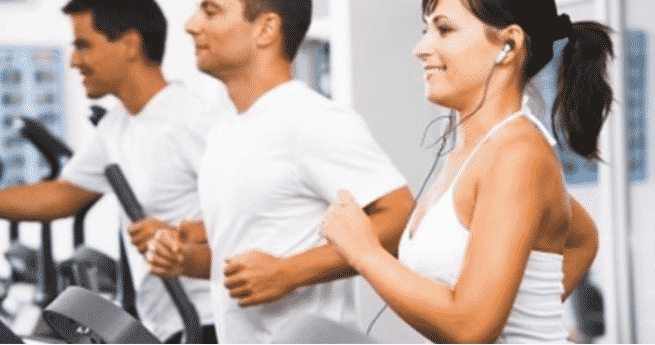 Exercise is a great way to stay in shape and keep healthy, but did you know that there is a specific type of exercise that you should be engaging in to reap the anti-aging benefits? 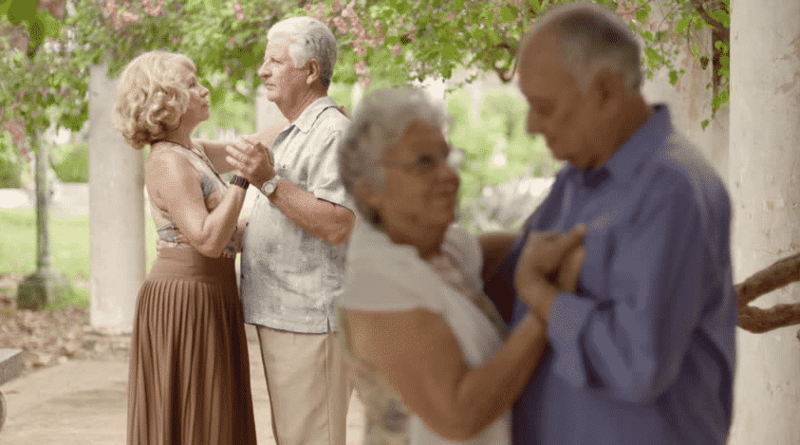 A new study published in Frontiers in Human Neuroscience has found a serious correlation between dancing and anti-aging. That’s right, you heard correct! It may be time for you to dust off your dancing shoes and start some toe-tapping. 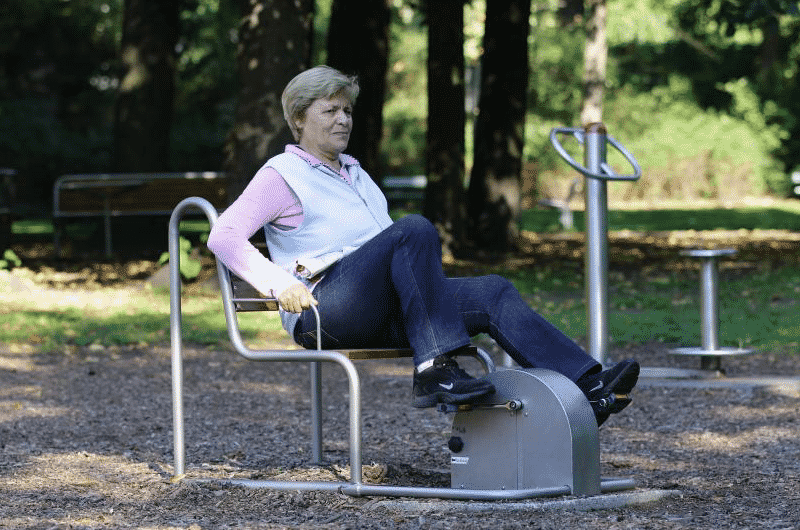 It seems that researchers have found that when older people engage in physical exercise, the signs of aging in their brain actually begins to reverse. However, the most effective form of physical exercise happened to be dancing. But why is that? 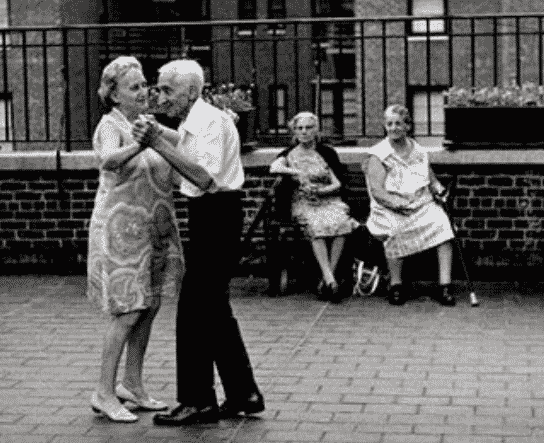 So what makes dancing the most effective way to promote anti-aging in the brain. Well, Dr. Kathrin Rehfeld, lead author of the study, based at the German center for Neurodegenerative Diseases, has spoken out and given all of the details and you won’t believe what the link is! 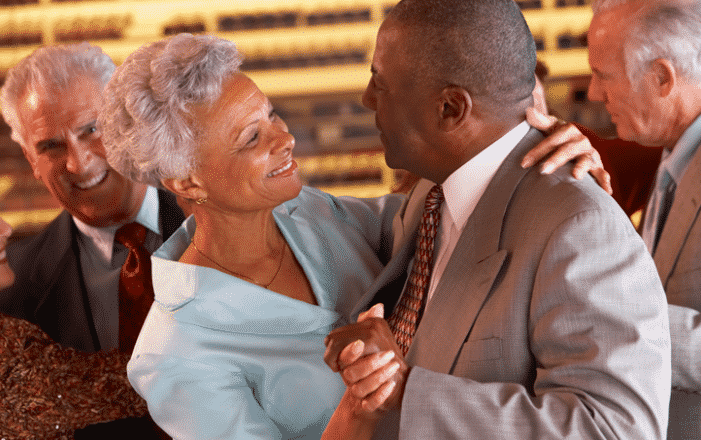 The reasoning behind why dancing is a much more effective way to slow down aging is due to the extra step involved – pun intended. In order to dance you must learn the correct dance moves and that provides a challenge for your brain. So how did the researchers come to their conclusion? 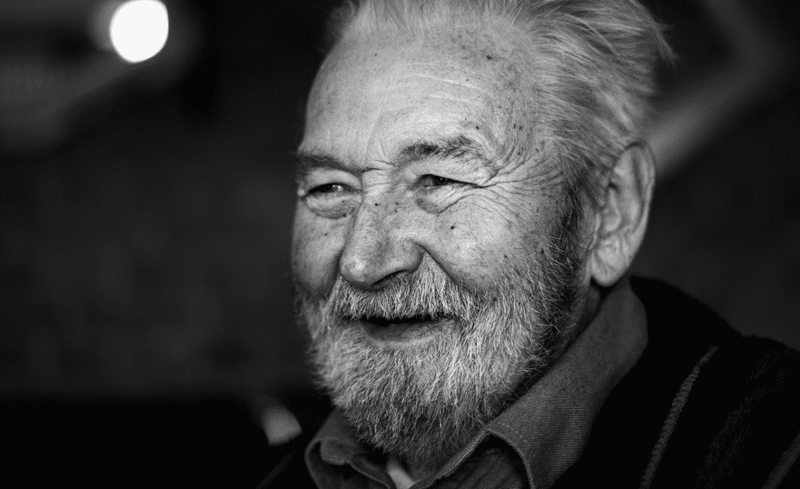 In order to get accurate results, researchers asked for 62 healthy elderly volunteers between the ages of 63-80 years to participate in the study. They narrowed down the number to a select 52 people who were they split up randomly to either be in the control sports group or experimental dance group. The experimental dance group was given dance routines to remember. The choreography would constantly be changing and the participants had to remember all of the moves as close to perfect as possible. So what about the sports group? For the sports group, the researchers had the elderly focus in on endurance training, strength-endurance, and flexibility training. After this went on for enough time, the researchers compared the brains of the sports group and the dance group and were shocked at what they found! 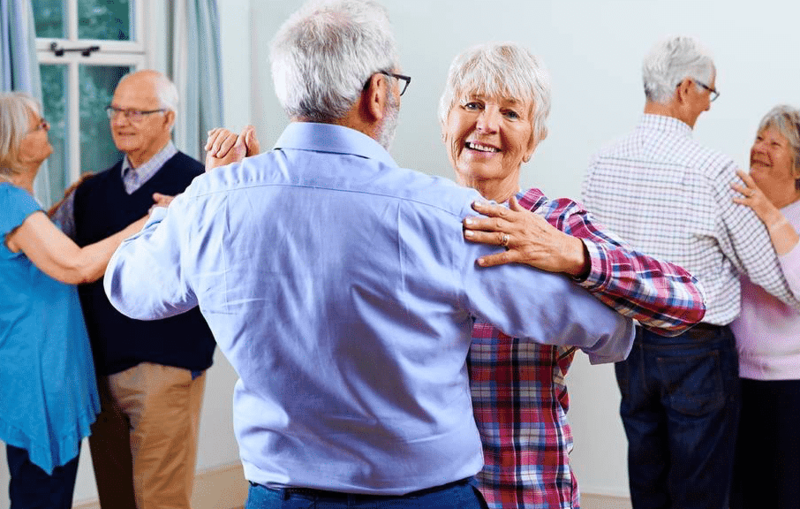 Researchers found that the elderly participants that were learning dance moves had a substantial volume increase in the subfields of the left hippocampus and another increase in one subfield of the right hippocampus, namely the subiculum. Only the dance group was able to effectively target these subfields of the brain. 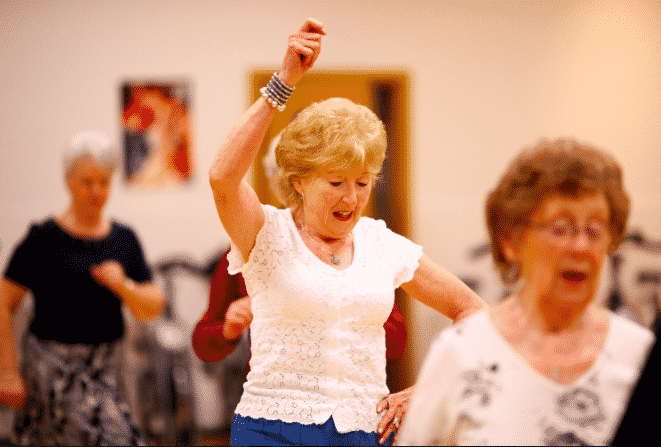 While scientists always knew that engaging in physical exercise could combat aging in the brain, this new study has proven that dancing is far superior to repetitive exercise routines. Engaging in changing routines activated parts of the brains that otherwise would be left unused during a typical exercise routine. 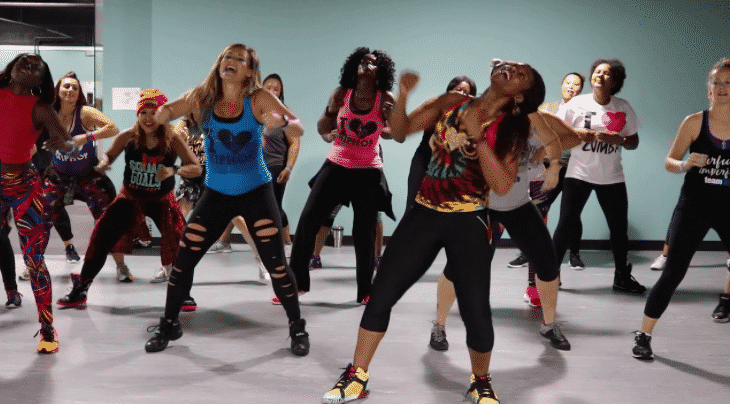 Thanks to this new discovery, Dr. Rehfeld and her team are working together to come with a fitness dance routine that would most effectively have anti-aging effects on the brain. But what’s a person to do if they have two left feet and have never danced to the beat of the rhythm before? You don’t have to be an expert dancer to make this work for you and your brain! All it takes is a little one-two step to get your body going. Just memorizing different moves, even if they’re not perfectly executed, is enough to keep your brain wheels turning. Dr. Rehfeld even seconds this notion! “I believe that everybody would like to live an independent and healthy life, for as long as possible. 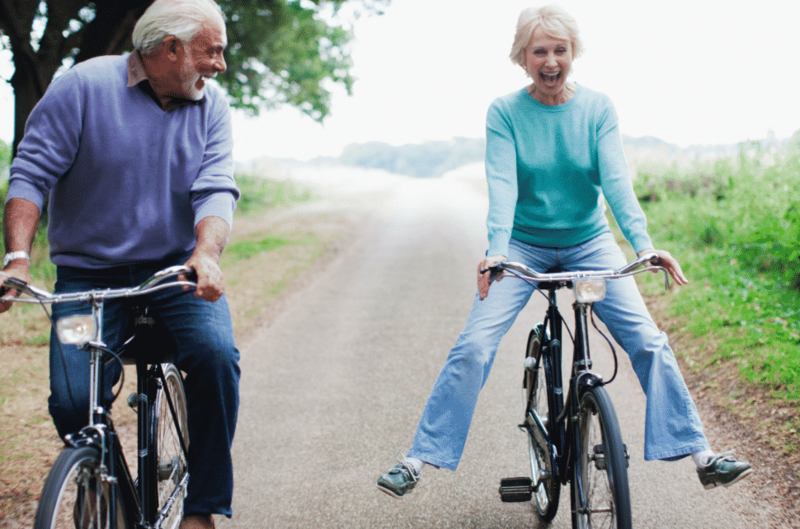 Physical activity is one of the lifestyle factors that can contribute to this, counteracting several risk factors and slowing down age-related decline. 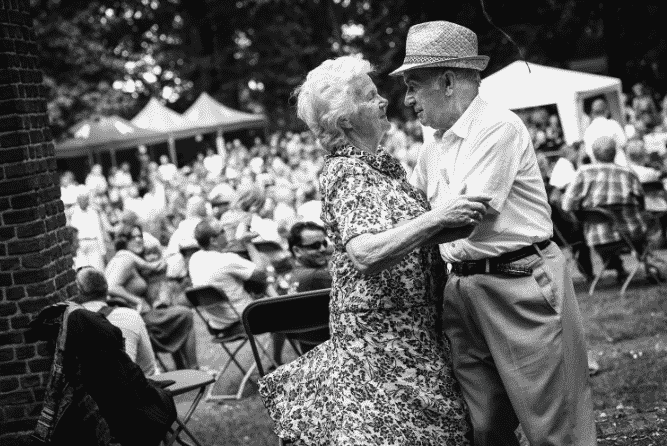 I think dancing is a powerful tool to set new challenges for body and mind, especially in older age,” Rehfeld stated. Just take a look at this adorable photo of couple Nellia (64) and her husband Dietmar (70). 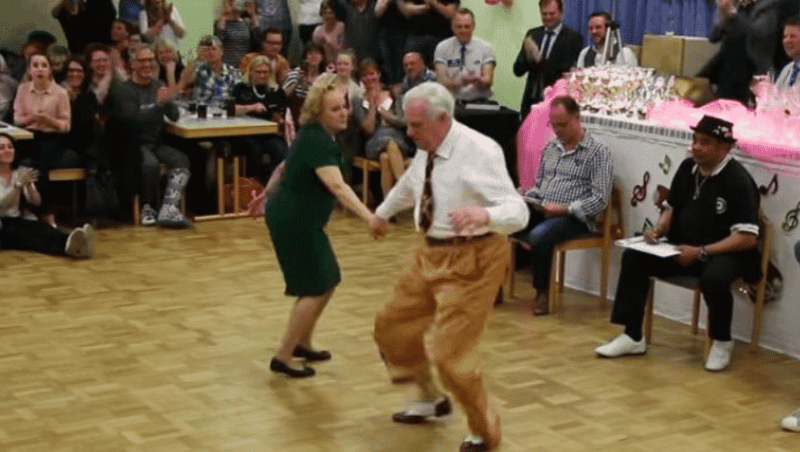 Look at them bust a move like it’s nobody’s business at a dance-off in Germany. If they can do it without any fear what’s holding you back? 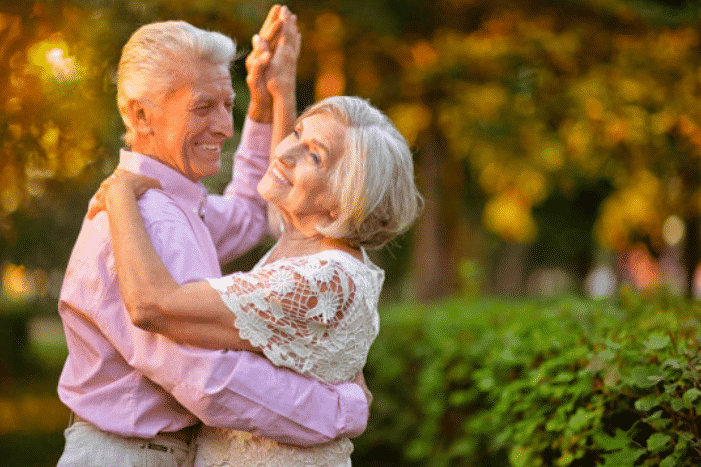 It’s pretty amazing to think that learning a fun new dance choreography could be just the ticket to unlocking the key to slowing down the aging process. Be sure to share this article with friends and family that could use a little inspiration to bust out a move!